Fig. 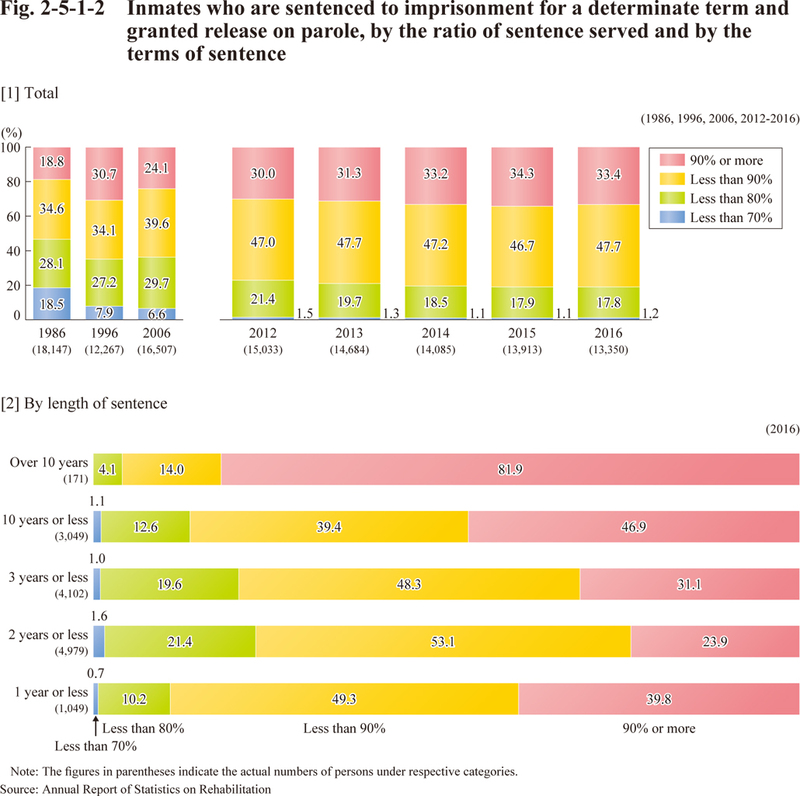 2-5-1-2  shows the percentages of inmates sentenced to imprisonment for a determinate term and granted parole in 1986, 1996, 2006, and 2012-2016, by the ratio of the length served before their release on parole. 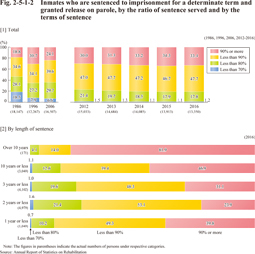 shows the ratio of the length served, by the length of sentenced terms of those granted parole in 2016.